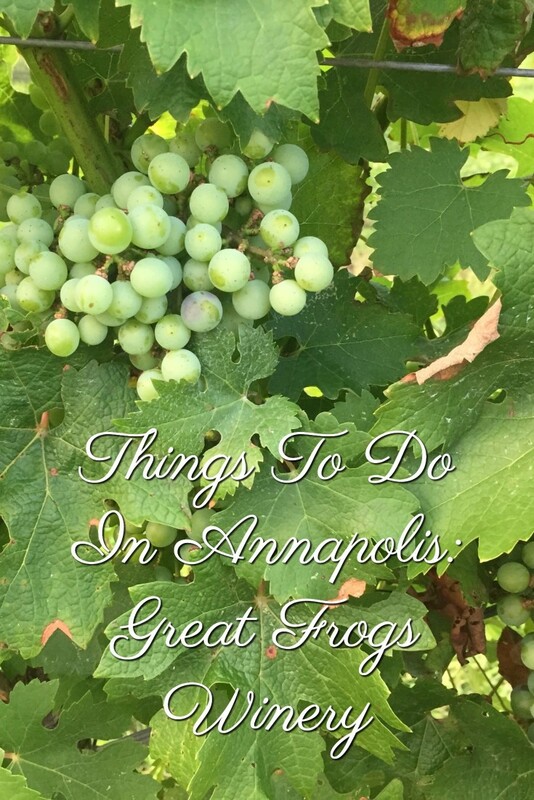 Living just 15 minutes away, I’m always looking for interesting things to do in Annapolis when I’m not traveling somewhere else. Don’t you get excited when you stumble upon a cool local find? That’s how I felt when I learned about Great Frogs Winery last year at a Maryland tourism event. Great Frogs sits on acres of old tobacco farm land that dates back to 1691. The property was destined to be sold and turned into condominiums. However, winemaking duo and Cali natives, Nate and Andrea O’Shea, flew in to save the day. The first vines were planted in 1999. The first wine produced from its soil was bottled and sold in 2013. The property is tucked away on Harness Creek, just feet away from South River on one of many peninsulas you’ll find in Annapolis. This is characteristic of the Chesapeake Bay Area. An ever-changing scene, I’ve been to the vineyard several times now. Every time I visit, my eyes spot something new. 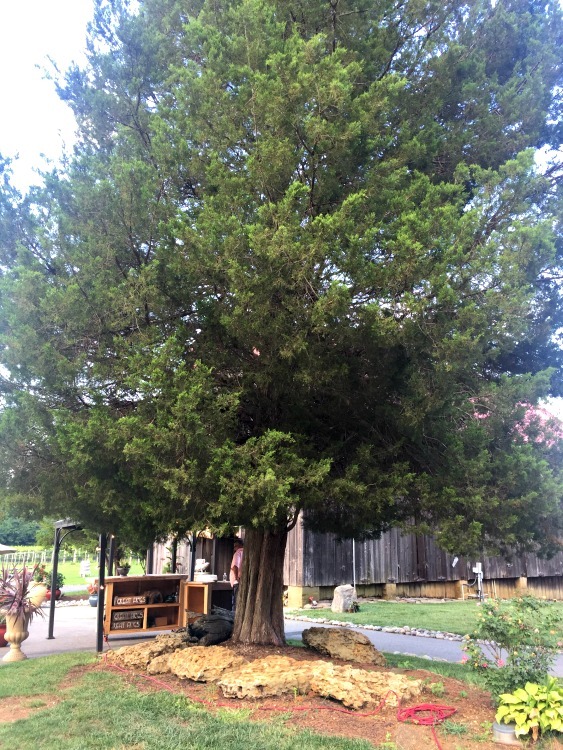 Aside from the changing decor of the restored barn turned tasting room and wine shop, the outdoor scenery seems to constantly shift and transform. 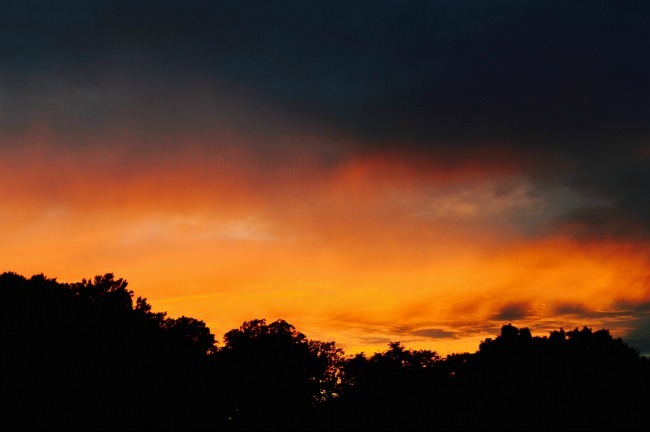 Sunsets and thunderstorms happen in technicolor, painting the landscape behind the property contrasting shades of blue, orange, or red. This backdrop to the vines is one that even Monet would have drooled over. My imagination wanders when I’m at the vineyard. I often forget that I’m still in Maryland (especially after a few glasses of their Meritage Red). 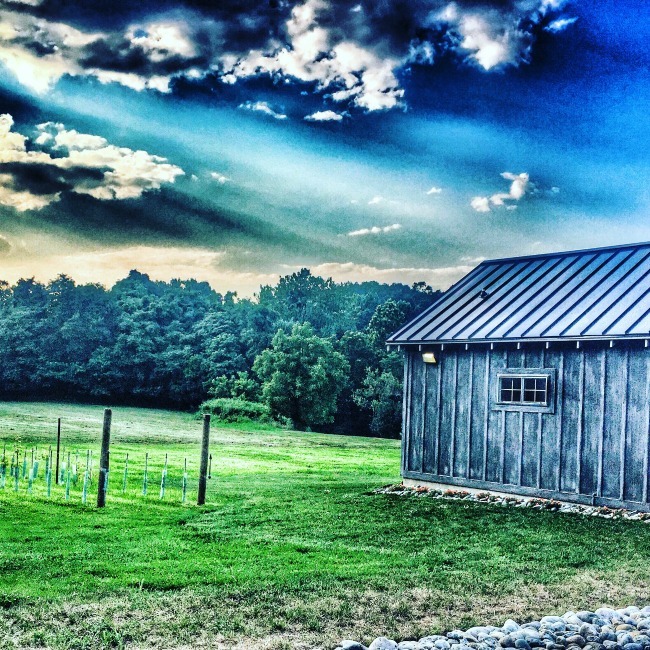 During a recent wine club event, the skies opened up above the farm and delivered one of the loudest cracks I’d ever heard. 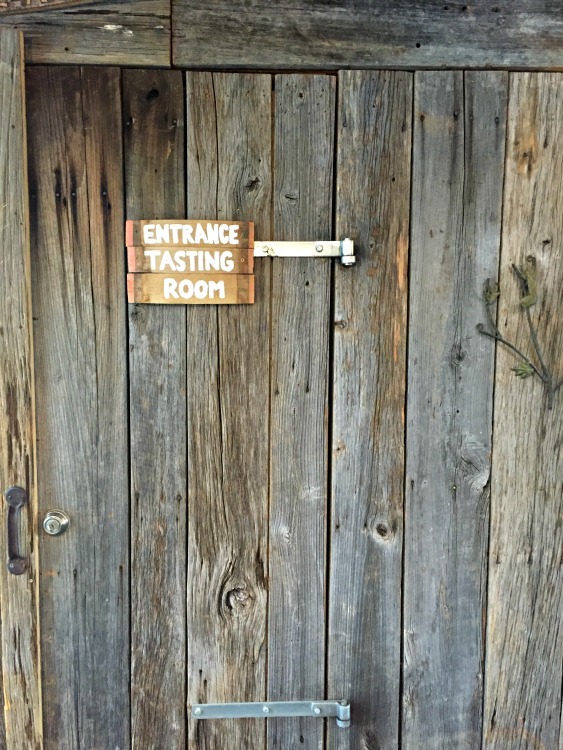 Rustic, smart details dot the winery. Startled by the thunder I jumped, screeching just a bit (yes, I screeched). My eyes immediately darted to the barn’s timbers over our heads, wondering if they’d protect us should something more dramatic like a tornado came our way. I thought of Toto, the Tin Man, Emerald City and a sparkly pair of red shoes. Told you my imagination runs wild when I’m out there. A wine and Mediterranean food tasting for Great Frogs wine club members. Tastings at Great Frogs are always an adventure. 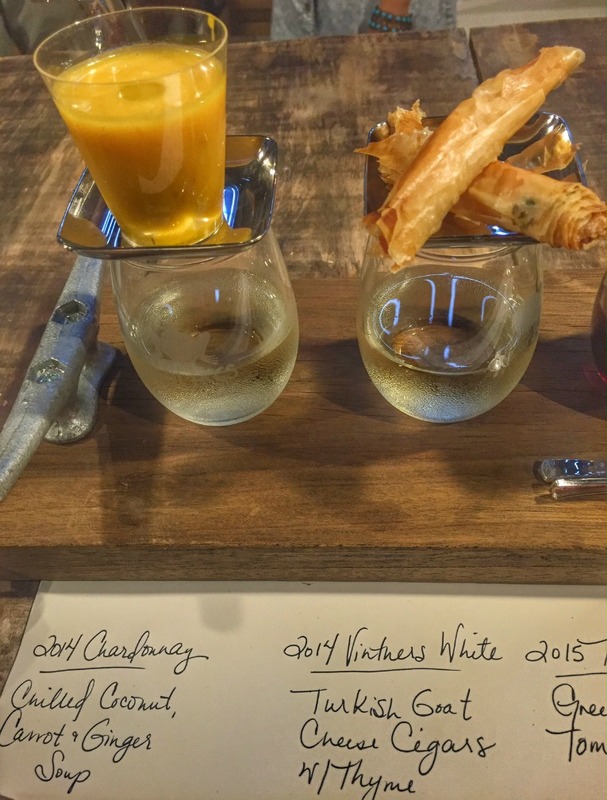 Greek and Mediterranean inspired small plates paired with G.F. varietals entertained tastebuds at the private wine club event I described above. 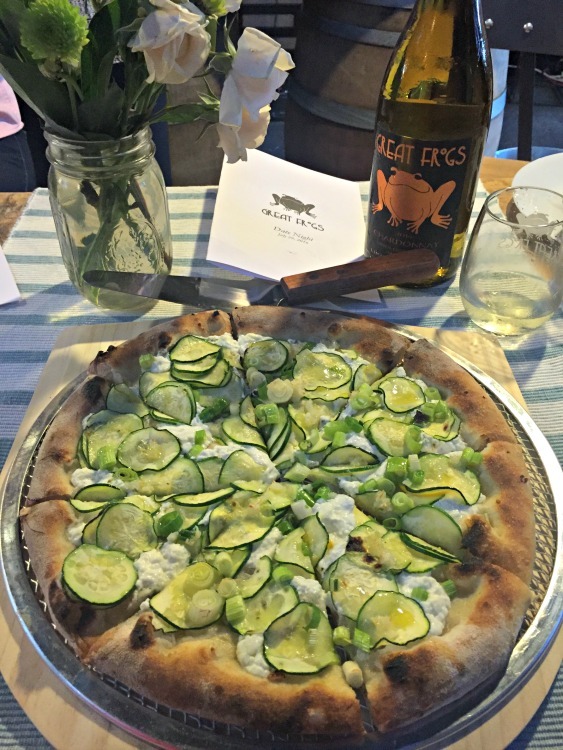 Our first course: Summer Squash pizza from Well Crafted Pizza and Great Frog’s 2014 Chardonnay. Fresh artisan pizzas hot from a refurbished Pickup food-truck paired effortlessly with a Chardonnay, Rose, red and dessert wine. 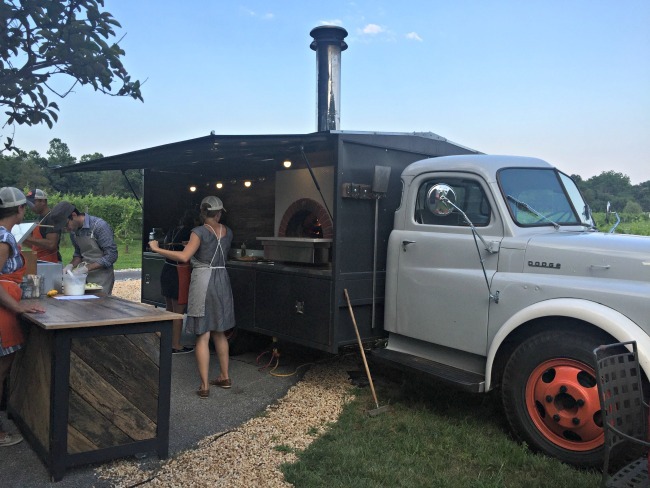 The Well Crafted Pizza food truck, based out of Baltimore. 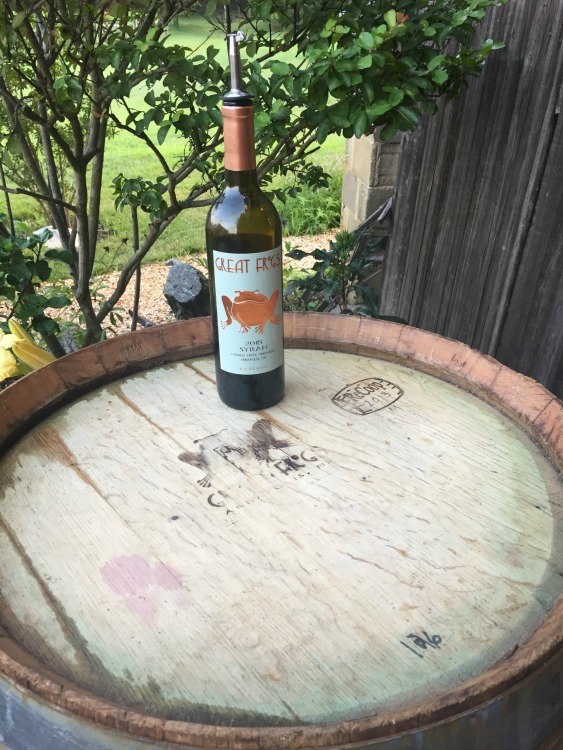 Great Frogs has about a dozen varietals ranging from crisp whites aged in steel or Oak to full-bodied reds and dessert wines. 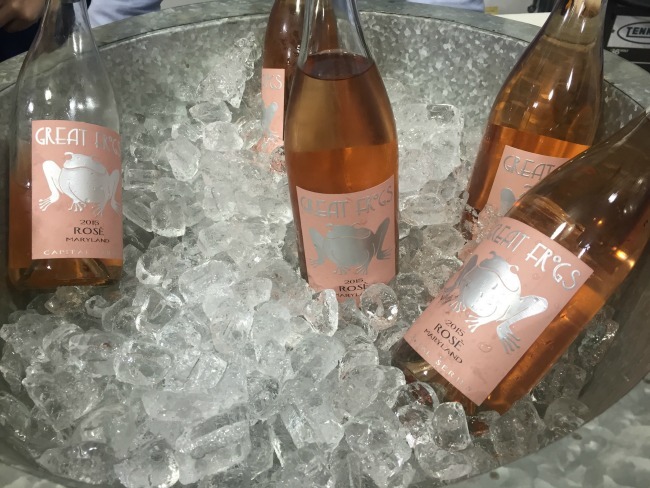 A beautiful bucket of Great Frog’s 2015 Rosè. 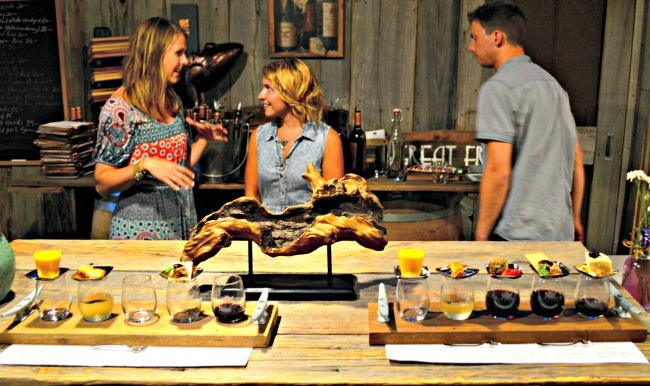 Once you’re done exploring the sites of historic Annapolis, feasting on sushi or seafood on Main Street, head over to Harness Creek for a few more unique things to do in Annapolis. 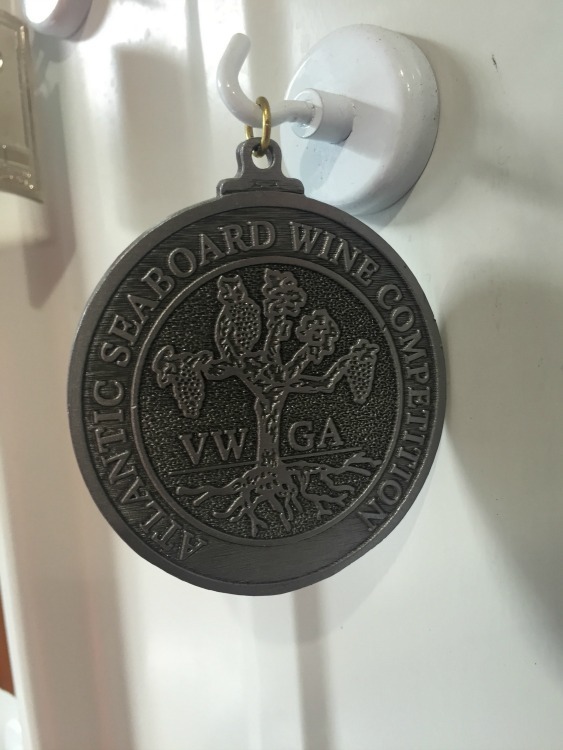 Walk past well-manicured grape vines and taste a few glasses of local Annapolis wine. While you’re at it, pull up a chair and watch the sky decide how it’s going to behave for the day. How about the pizza truck has beer on tap in it!! But since it was a wine pairing they didn’t use it. Think my husband wants one of his own! What an awesome local find! Mouth watering from those pizzas! I love discovering my local area, and I think we have a duty to play tourist in our own region before we explore everyone elses :D! I agree with you wholeheartedly Meg about playing tourist locally. There’s always something new to discover. Haha — doesn’t “Great frogs!” sound like an exclamation like “Gadzooks!”? 🙂 Seriously, though — this place looks great. 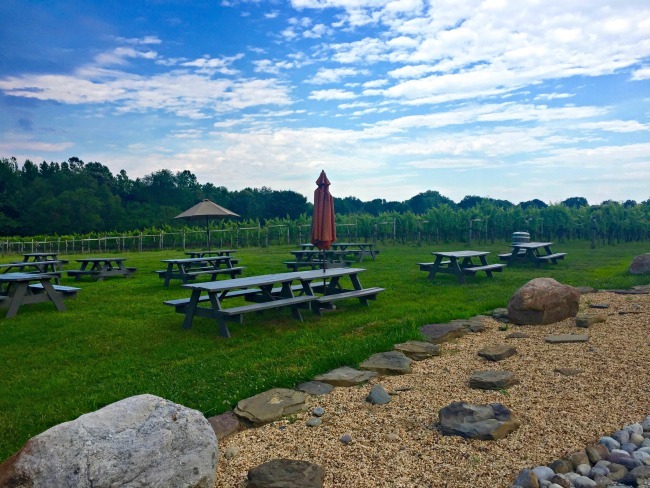 I’m learning about wineries like this in all corners of our country! 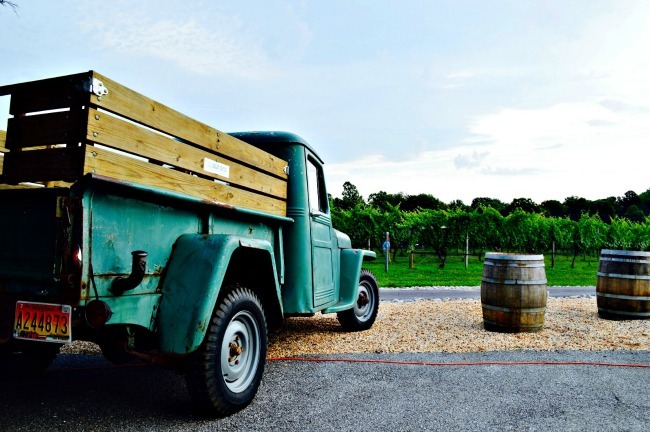 It’s wonderful to see more local wineries popping up across the country. It makes the experience more accessible to more people and not just the ones who can make it to France or California.